Businesses have been trying extremely hard to keep up with the ways consumers shop online. We use a variety of tools that allow us to monitor every action our prospects are taking. We measure clicks, shares, impressions, open rates, click-through-rates, and so on, all in the desperate attempt of understanding our target audience’s intentions and clicking behavior. We’ve become so obsessed with metrics and data that we’ve forgotten that business transactions rely on trust. And, trust can’t be earned with a spreadsheet. You need to dive deeper than split tests, web forms, and hits. You need to connect with your audience on a personal level. But, how can you do that, especially in this fast-paced world where every second you are not interacting with your audience means money lost? 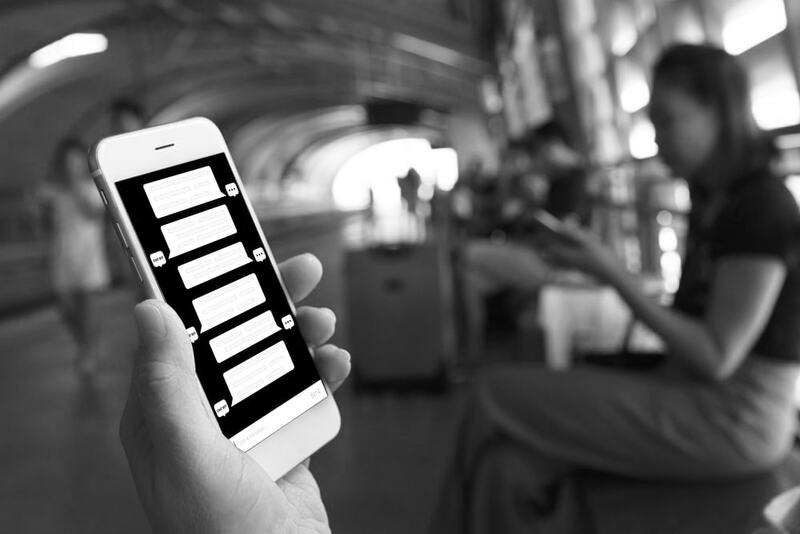 Enter the era of conversational marketing. Welcome to the future of marketing. Technology advancements such as voice recognition, artificial intelligence, the Internet of Things, smartphones, and neuro-linguistic programming have allowed businesses to engage their audiences with personalized conversations on a massive scale and in real-time. Instead of web forms, savvy businesses are now using intelligent chatbots to connect with their audience. The reverse is valid as well. Customers don’t have to wait anymore to be connected with a human rep to help them solve their problems. They can use intelligent automated systems to engage with brands and have their problems fixed regardless of their location or time of day. Of course, these chatbots are not perfect yet. The systems are still evolving, and soon enough you won’t be able to tell the difference between an AI and a human rep. One thing is clear, though: customers prefer them for their efficiency. Different reports show that people prefer engaging with businesses via intelligent systems rather than talking with a sales rep. Instead of asking your customers to fill web forms and wait for follow-ups, conversational marketing allows you to engage your audience in real-time. If a prospect has a question about your offer, he/she can get an answer almost instantly. Most probably you are aware of the importance of one-to-one conversation with your prospects. You just don’t have the resources and capabilities to talk with every lead that visits your site.Until conversational marketing, scaling one-to-one conversations was just an unrealistic endeavor. After all, if you wanted to have 100 simultaneous meaningful personal conversations with your prospects, you needed 100 different sales reps.But, due to the rise of intelligent systems, one marketer can set up a chatbot to engage hundreds of prospects at the same time. That could help you scale your business faster than ever before. Customers nowadays expect more than a one-model-fits-all approach. They want to know that businesses consider their exact needs and desires and expect to receive personalized messages that take into account their unique context. Marketing as it functions today allows some levels of customization. For instance, you can welcome leads on your site with a message that includes their name. But, that’s just the tip of the iceberg. With conversational marketing, you can access a vast amount of data that allows you to learn everything there is about your customers. That will allow you to create marketing messages that are sure to grab their attention and convince them to give your products a try. One of the purposes of conversational marketing is to replace the traditional web form with real-time messaging. Start including chatbots on your website and let your visitors know that you are available for them. Use your data to personalize the message and compel visitors to engage in a conversation with you. Don’t stop the moment you’ve acquired the data you were interested in. Continue to nurture your prospects and move them down the sales funnel. The benefit of chatbots is that they can provide visitors with an answer to their question in just a couple of minutes. But, if you’re making them wait for ten minutes or more, your chances of turning visitors into leads will drop by 400%, as per studies. Create a script for some of the most popular questions your prospects may be asking. Try to put yourself in their shoes and think about what other problems they may encounter when shopping for or using your products/services. Marketing has become highly impersonal. We focus on numbers and data so much that we’ve excluded the human component almost entirely. As counterintuitive as it may sound,chatbots and artificial intelligence may help create a more human buying experience. By enabling real-time conversation and liberating consumers from annoying web forms, conversational marketing can help make sales and marketing personal again. Over 1,000 business owners and marketers have subscribed to this blog, you should too! Gain insights and tips on growing your digital business. PS: This triggers our bot, give it a try!